End unit - Mountain Views! 2 car attached garage! 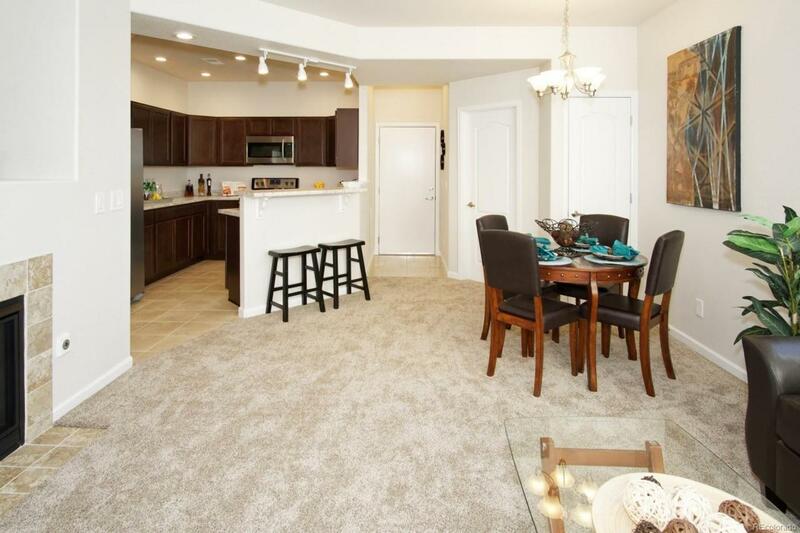 Stunning brand new townhome. 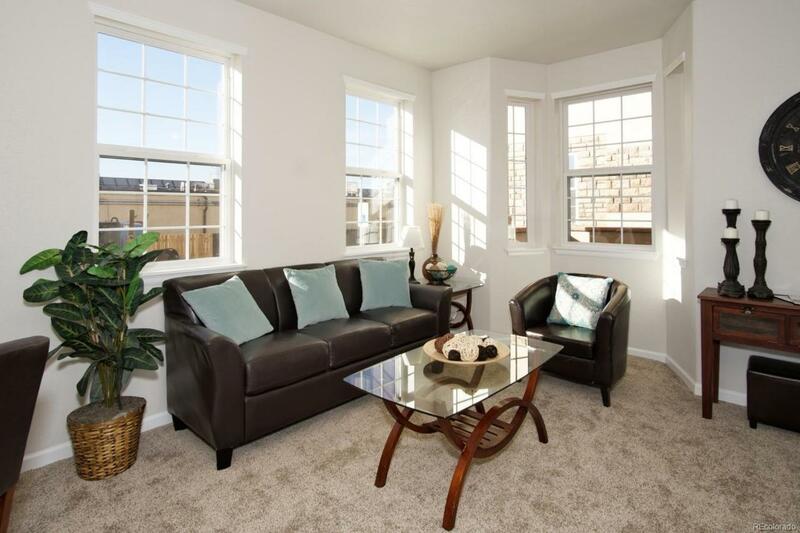 2 bed/3 baths, adorned with beautiful finishes. 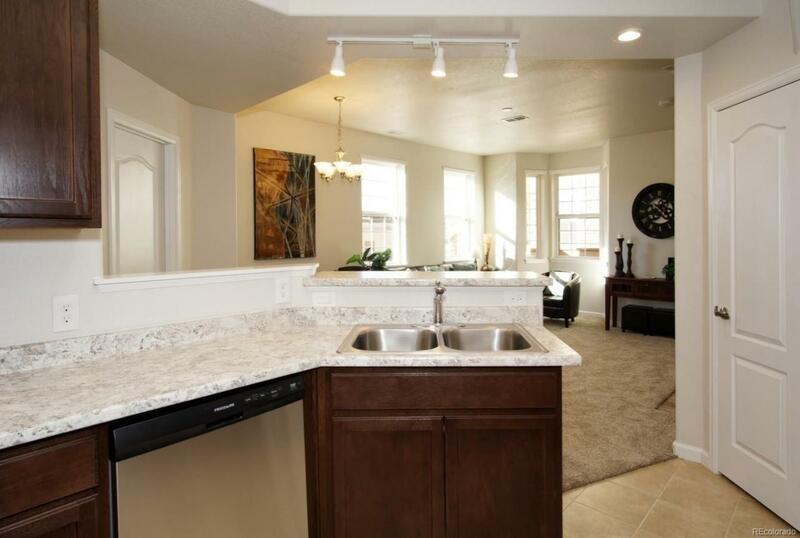 Open kitchen with large pantry and full appointment of stainless appliances. Cozy living room with gas fireplace. Double master bedrooms each with double sinks, walk in closets, and its own private balcony. Full size laundry hook ups on upper level with bedrooms. Handicap accessibility to main floor only. Reasonable HOA monthly fee of $210. Beautiful community with center courtyard. 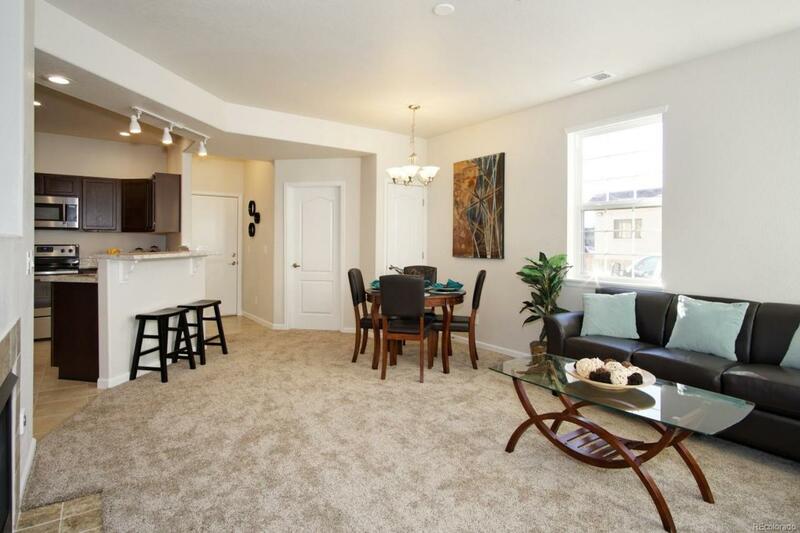 Centrally located w/easy access to DIA, DTC, & Anschutz Med Ctr. Just blocks from shopping!